It's an age old question: which comes first, the chicken or the egg? In the mirrorless world, the chicken always seems to come first. Mirrorless cameras are parts of systems. To actually serve as systems, you need both a camera (chicken) and lenses (eggs). Because all the makers see mirrorless purchasers as mostly compact users moving up (and mostly women at that), I believe most think that the "win" is to just make a really competent camera and one or two competent lenses. I believe the Canon G1x busts that hypothesis. The m4/3 system busts the rest of the hypothesis. 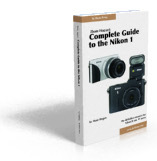 Take the Nikon 1: two cameras, realistically only two useful lenses. It's competing against what? Well, at one end, something like the G1x, which has a bigger sensor, more logical controls, and a single built-in lens that covers a bit more than one of the Nikon 1's competent lenses. Yes, the Nikon 1 should have the added marketing message of "flexibility," but realistically, not enough eggs exist to fulfill that. At the other extreme, the Nikon 1 competes with the m4/3 system: currently 7 cameras and 21 lenses from just the two major companies. Lots of chicken choices and plenty of eggs. So which system looks better to a prospective user? As the Woody Allen joke punchline in Annie Hall went: "we need the eggs." So why do camera companies make mostly chickens at first? Because some bean counters in the back office are stuck on "installed base." Let's say that we predict 10% of our customers will buy a specialized lens of some sort. On day one we have an installed base of zero, so zero customers will buy that lens. Those same bean counters come up with other analyses: it would take 100,000 customers buying the lens before this specialized lens would pay back its costs and begin making a substantive profit. Thus, we need to sell a million cameras before we could justify producing the lens. QED: chicken first. The camera makers are in it for the long haul, even the non-traditional ones like Samsung. They figure that they'll eventually get to where m4/3 is just by perseverance. This ignores history. The film SLR winners established themselves by their eggs, and the DSLR wars were pretty much won from the start because of the available eggs. So we come to this. Message to Fujifilm, Nikon, Ricoh, Sony, and Samsung: we need the eggs. Special note to Canon: don't forget the eggs. Yes, it's "totally irrational and crazy and absurd...but...most of us need the eggs."